Hello everyone, this is a random post of bits and pieces. I am slowly becoming excited about Christmas. I have almost completed my shopping and I will probably put the tree up next weekend. I have a general rule not to put it up before 1st December not sure why or when I decided that but that is how I've always done it. Anyway, this year I found myself a Celtic dairy free chocolate advent calender. Now this put a big smile on my face. 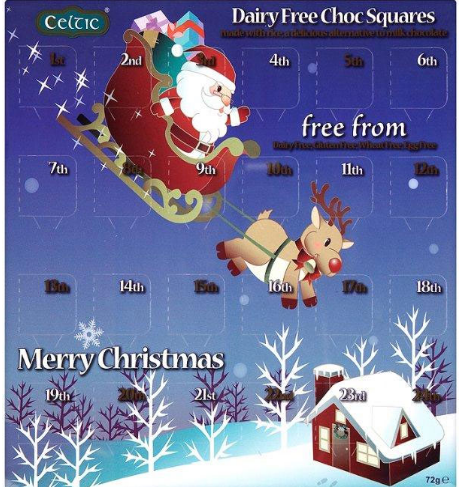 I always had the boring picture calenders as a child and my sister got the chocolate one, it was so unfair and yes after 20+ years I still hold a grudge (ha ha). I purchased the calender from Sainsburys. The chocolates are free from dairy, gluten, wheat and egg. This month I entered a competition run by Thea Skincare. I was not lucky enough to win but as a runner up I was sent a sample of Super Nourish Hand & Body Beauty Butter. Thea skincare is free from parabens and artificial fragrance, contains organic ingredients, cruelty free and vegan friendly. I am really impressed it is a rich body butter but it absorbs well and leaves my skin feeling super soft and moisturised. I particularly like using it on my hands. 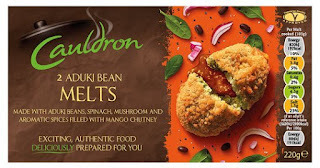 I have another new love at the moment - Cauldron Aduki Bean Kievs. I shop at Tesco and found these in the frozen food aisle (vegetarian section). They are free from dairy and eggs but do contain wheat and gluten. The kievs are made from aduki beans seasoned with Indian spices with a mango chutney filling. I have also seen Thai Bites & Butternut Squash Quinoa Bake which look tempting but unfortunately not suitable for me due to containing some of my allergens. I have one other food love at the moment is Merchant Gourmet Puy Lentils with Sun Dried Tomatoes & Basil and I've seen them in Tesco & Sainsburys. They are very convenient as you simply heat in the bag in the microwave. The packet serves 2 people but you can keep in the fridge once open so you can heat one serving and keep the rest for another day. They are suitable for Vegans (dairy & egg free) and the only allergen listed is celery. Also look out for the Wholesome Grains which is a ready to eat blend of wholewheat, red quinoa, toasted soya flakes and lentils. I hope everyone is having a great weekend? If you have any hauls or free from foods to share leave a comment below and links to posts. I would also love to hear if anyone has tried the products listed above. Hey, that reminds me! I should buy calender/diary/planner too :) Congrats on winning the runner up prize!